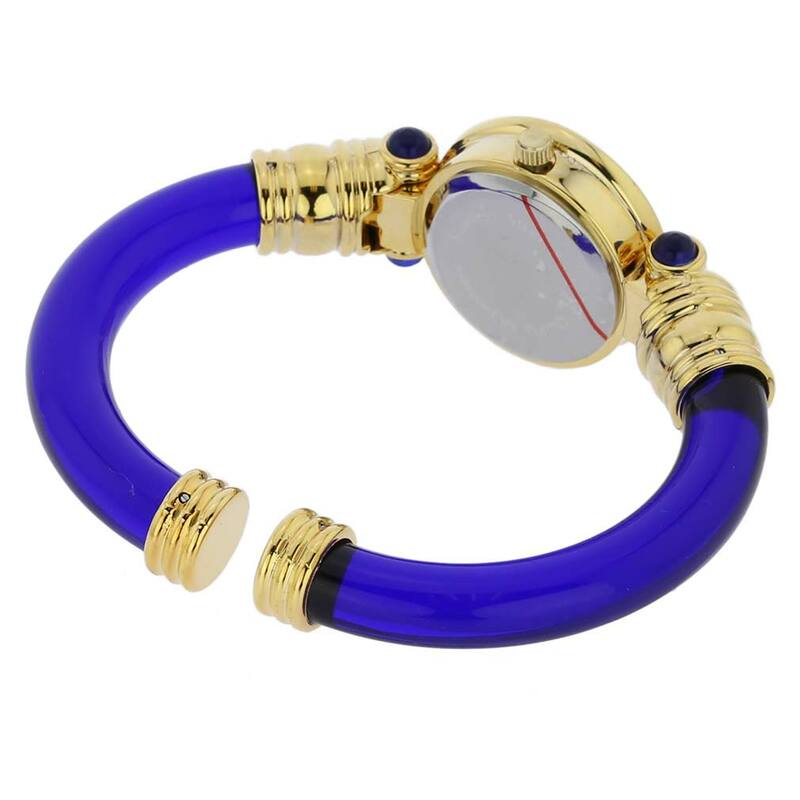 The beauty of Venice is just a glimpse away with our Murano Glass Bangle Watch. Combining the best of Venetian present and past, this unique timepiece showcases Murano's famous ancient craftsmanship in tune with today's fashion and contemporary Italian style. The high quality Italian workmanship is evident in every detail. The face of the watch is handcrafted using Millefiori glass-making technique (Millefiori means "a thousand flowers" in Italian). 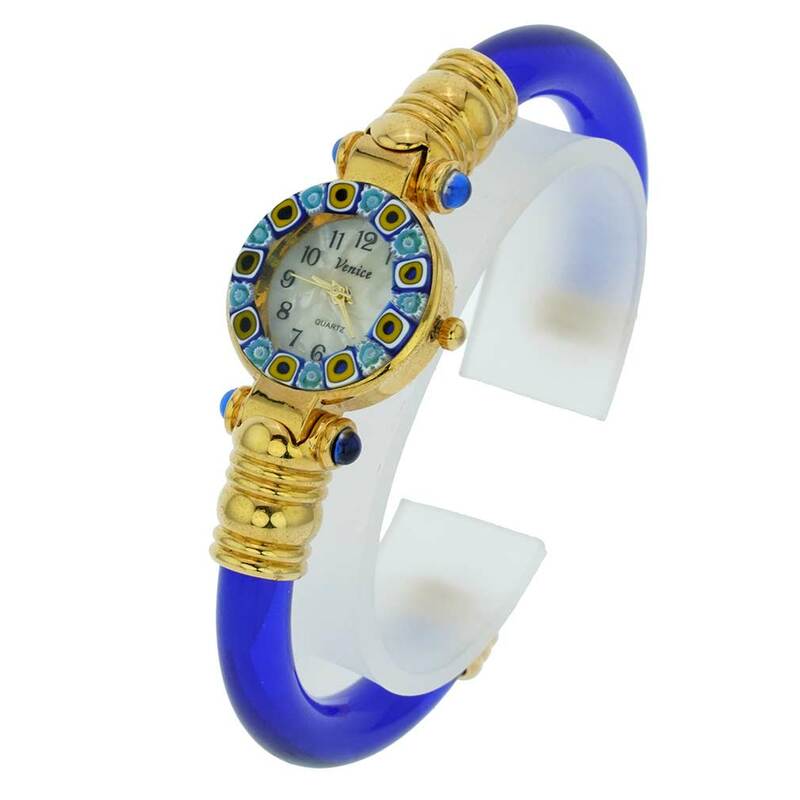 Tiny mosaic glass pieces with catchy designs are carefully fused together around the face of the watch to create a captivating pattern reminiscent of ancient mosaics. 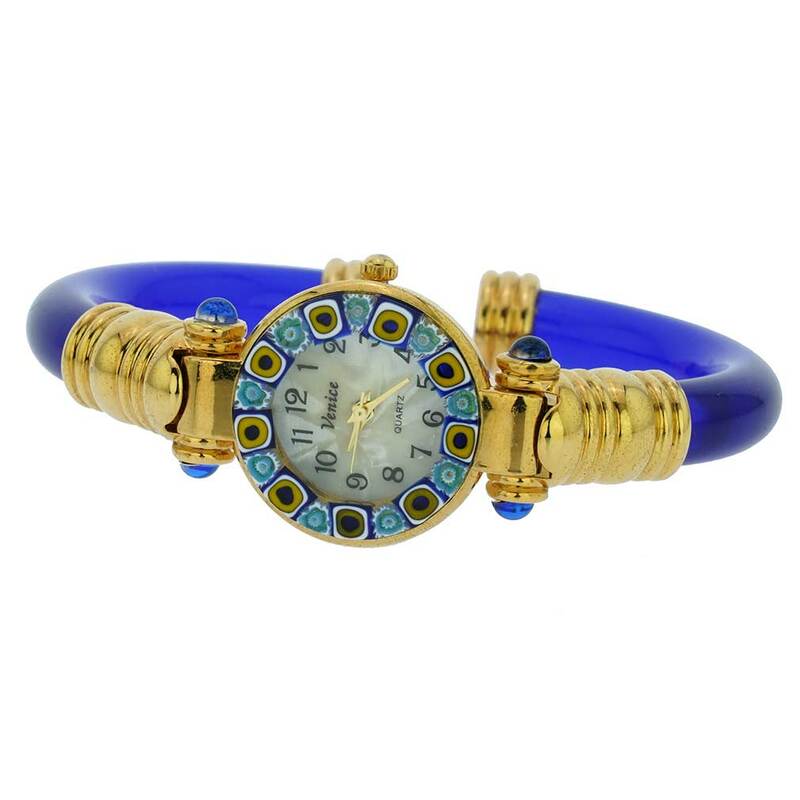 Bold colors, rich design, and stylish gold-accented bangle bracelet in beautiful shade of blue give this Murano Glass watch its trendy Venetian look. 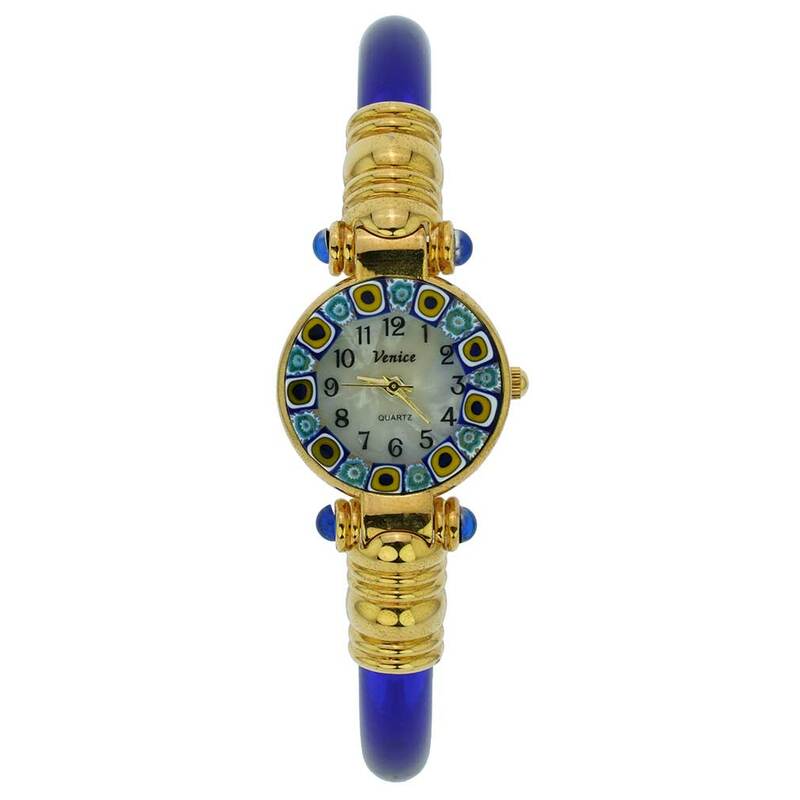 This Murano watch adds a perfect accent to any outfit and works equally well for casual errands, a day in the office, or a night on the town. Measurements: The face of this Murano glass watch measures 1 inch in diameter. The watch features a goldtone case, mother of pearl dial, and a high-quality movement. 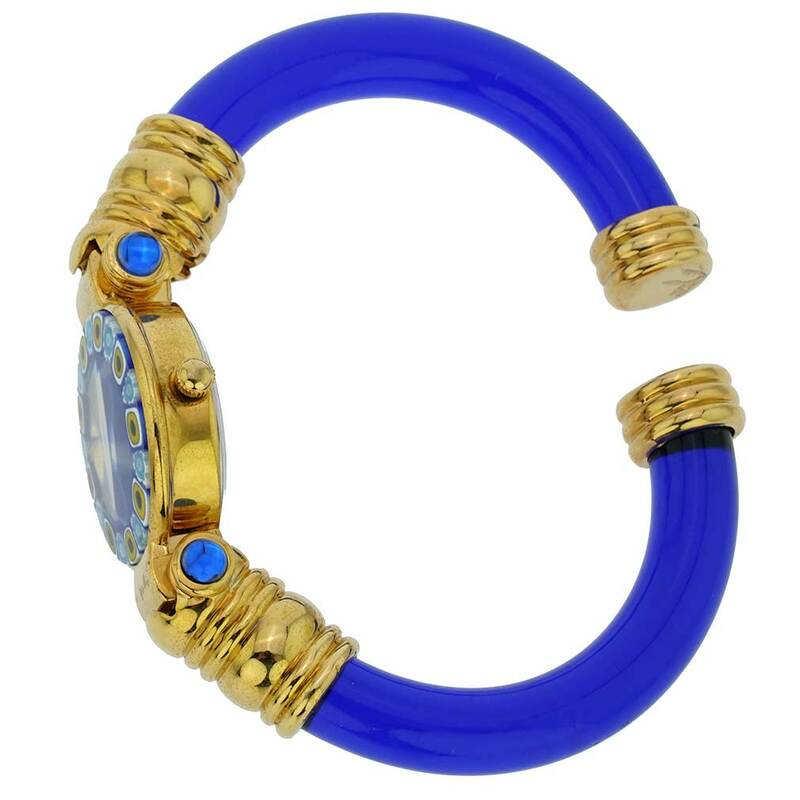 The attractive bangle bracelet is made of plastic to be both stylish and durable, and fits a wide range of wrist sizes. The watch comes with an attractive velvet pouch and a certificate of authenticity.